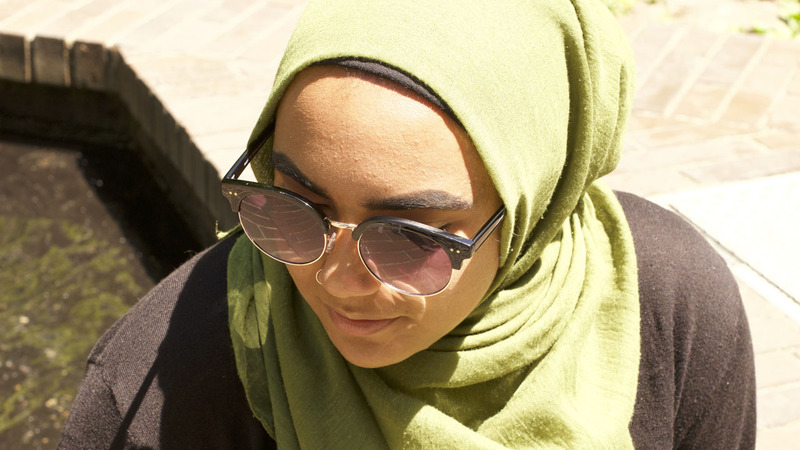 In May 2017 a classmate of mine at the University of Oregon’s School of Journalism and Communication connected me with Fatmah Worfeley, a nineteen-year-old local activist and student at Portland State University. From there, the idea for this audio story was born. I wanted to explore what it is like to be what some might consider the “ultimate minority,” a Black, Muslim woman, particularly in predominantly white Portland, Oregon. What started out in mid-May as a general plan for a profile piece evolved overnight in the face of the May 26, 2017, attack on a local commuter train that left two men dead, one critically injured, and two young women traumatized and in hiding. In the context of the attack, Fatmah’s various identities took on a greater meaning because they allowed the victimized young women and their family to trust Fatimah at a time when their fear and vulnerability were heightened. She was able to step into a supporting role and organize on their behalf when their experiences were largely left out of media narratives and when some members of the public asserted that they weren't even “victims” and should be thankful to be alive. This piece is dedicated to all of the unsung heroes like Fatmah who persist in the face of ignorance and hate, who give of themselves voluntarily for the benefit of our community, and who inspire us to be better people and stewards of each other. Tiara Darnell is a freelance writer, podcaster, and videographer based in Portland, Oregon. She finds purpose in telling the stories of underrepresented communities. Her work focuses on music, culture, lifestyle, and cannabis. Tiara's work has appeared in Portland Monthly, Sprudge, Willamette Week, and Medium, among other publications. She is currently the host and producer of High, Good People a "potcast" about the burgeoning cannabis industry from the perspective of people of color. Tiara is a Maryland native and a returned Peace Corps Morocco volunteer. She holds dual Master's of Science in Strategic Communications and Multimedia Journalism from the University of Oregon School of Journalism and Communication.